I still have a huge crush on this collection. It's so bad that I can't even put the polishes away in my helmer. I just keep grabbing for them so often at the moment, and not just one of them, all of them, always together. Because they are so perfect together. 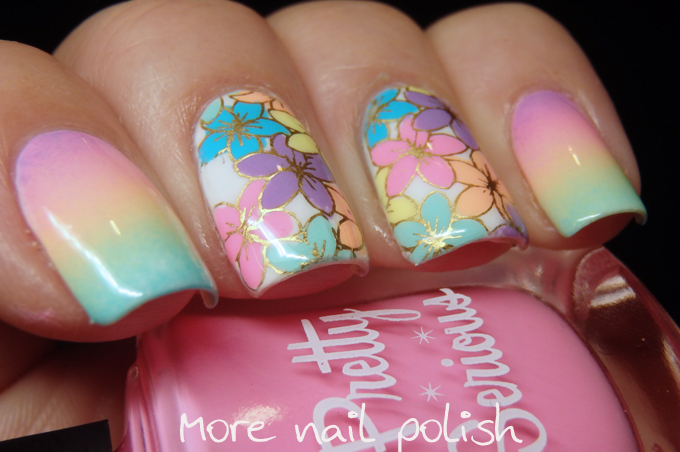 This time around I did a simple gradient and some flower stamping decals. Look at how smooth that gradient is, those colours just smoosh together perfectly. 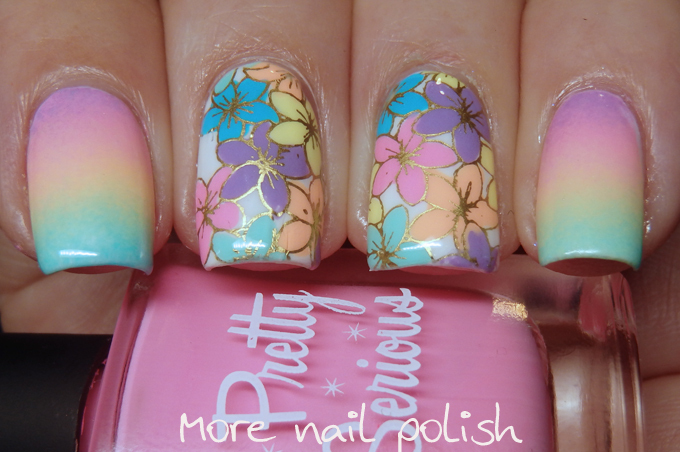 The flowers are from DRK Stamping plate Secret Garden XL. This is such a great plate and I find myself using it over and over again. 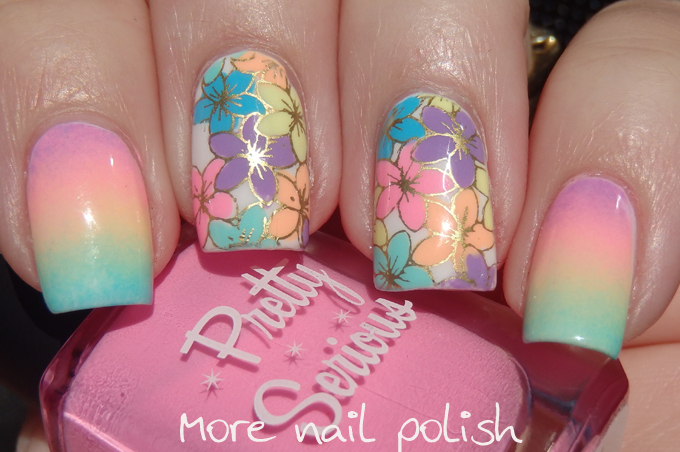 It has lots of floral full nail designs and heaps of images that work really well for either leadlighting or stamping decals. Look out for my tutorial video on Instagram coming soon. Simply gorgeous and you're right they do work very well together! Agree with you about the collection! Gorgeous mani btw. I adore that collection! 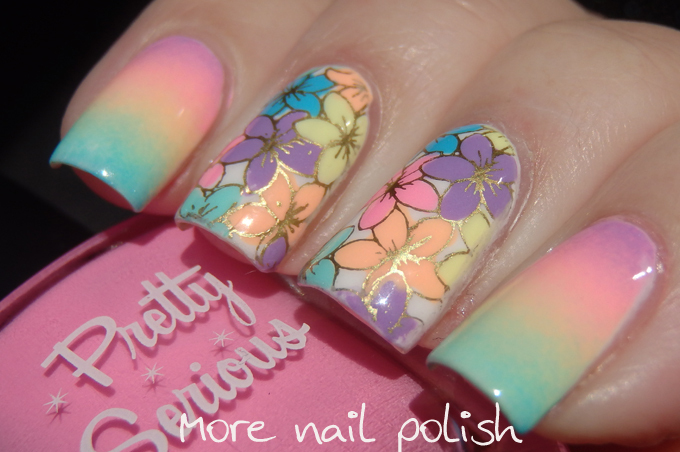 And this mani - excellent! I don't blame you - the polishes look stunning together!